Horsham, PA (June 8, 2018) – Turn 14 Distribution, the industry leader in automotive performance parts distribution, will be hosting its 2nd Annual Car Meet presented by KW Suspensions on June 16, 2018. The event is scheduled to take place from 11:00 AM to 2:00 PM at its ultramodern warehouse, located at 3035 Campus Drive, Hatfield, PA. 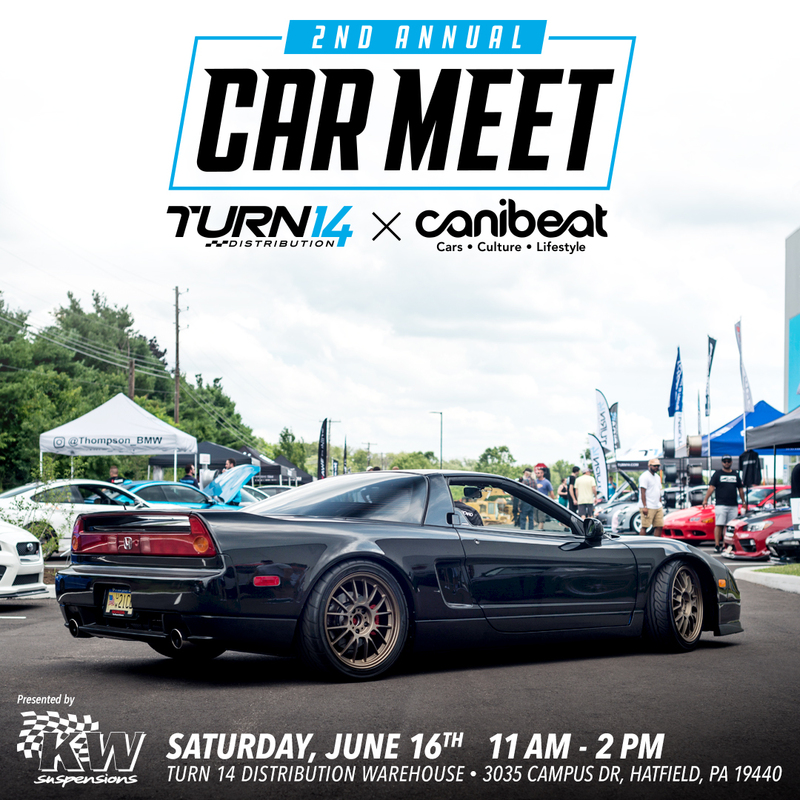 Following the success of last year’s event, Turn 14 Distribution has partnered with well-known event promoter Canibeat to share their experience and community reach with respect to producing and organizing high-quality car meets. You can expect to see dozens of tastefully modified vehicles of all makes and models, for both the street and track. New for the 2018 meet, Turn 14 Distribution will be giving out awards for the best vehicle in one of four categories. The award categories are Modern Performance, Domestic Performance, European Performance, and Truck & Off-road. To support the event, Turn 14 Distribution has enlisted assistance from some of its most illustrious vendor partners; Akrapovič, AWE Tuning, BBS, Edelbrock, Hawk Performance, KW Suspensions, Mackin Industries, Mishimoto, Rigid Industries, Vorsteiner, and Wilwood Engineering will be displaying products along with modified vehicles at the event. Excitement for the event is high, with a wide range of local car enthusiast groups planning to attend. The event will feature RaceRoom driving simulators, live entertainment courtesy of two DJs onsite, a hospitality tent with seating and shade, and food trucks offering food and refreshments for purchase. The meet is open to the public and all are welcome to attend. 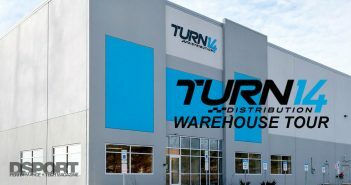 Founded in 2007, Turn 14 Distribution is a leading Performance Warehouse Distributor. It offers a range of proprietary online tools like real-time inventory, exact shipping quotes, international shipping quotes, and manufacturer-direct drop-shipping. Turn 14 Distribution’s goal is simple; to serve as a true resource and provide consistently exceptional service to all of its customers. For more information about Turn 14 Distribution, visit its website at www.turn14.com.